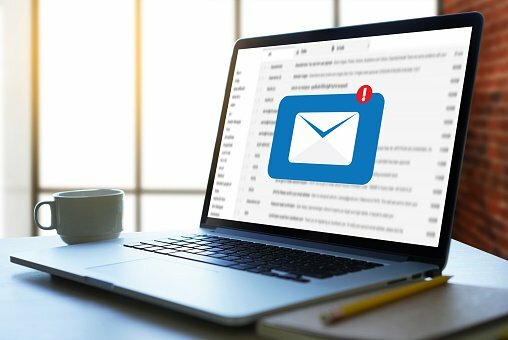 Auto-response emails are valuable marketing tools that can be used as thank-you notes, registration confirmations for events, and as referrals to complimentary resources and archived materials. Auto-response emails don't always bring value. Sometimes they just flood you inbox with unncessary junk content. But often times they are necessary and are a good reference for your community. 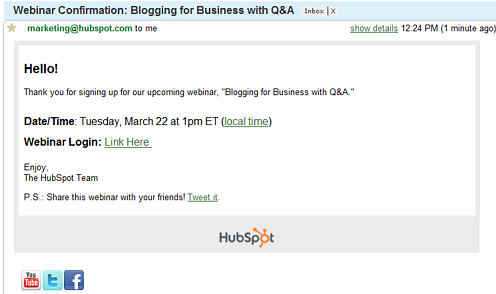 Imagine if someone signed up for a webinar: they will be expecting to receive a confirmation email. Or if they are looking to access a recently downloaded eBook. A download confirmation email will enable them to simply search their inbox for the needed information. In your auto-response and thank you messages, you can include social media sharing buttons and prompt people to share your initial offer. You can also include social media follow buttons to help grow your reach. Based on our own use of the content-sharing buttons, we have definitely seen an increase in the number of tweets promoting our offers. If you have an offer that is designed to attract a lot of views and doesn't really tie well into your product, you might want to introduce a secondary offer in your auto-response email. For instance, you could include a P.S. for a product demonstration or a free trial and see how this strategy performs. 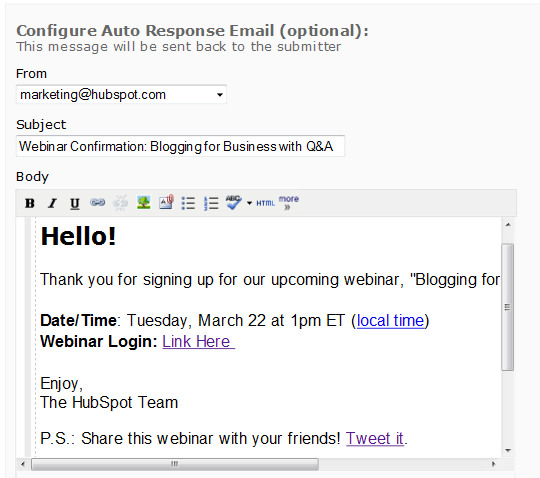 If you are convinced in the value and potential of auto-reponse emails, here is how you can do it in HubSpot. Step 1: Go to one of your landing page's and click "Edit Form." Step 2: Click on "Configure Form Actions" and scroll down to the section called "Configure Auto Response Email (optional)." Step 3: Create your message and pick who the sender should be. 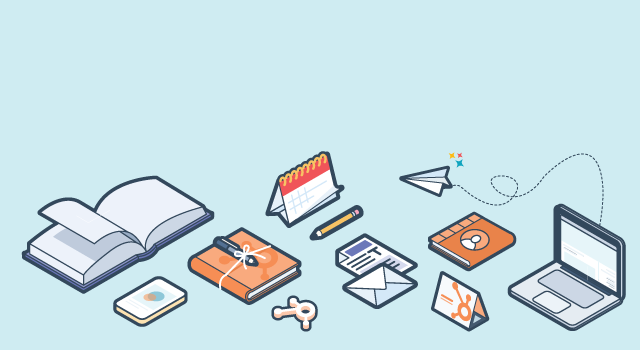 HubSpot allows you to input HTML code, so you could make the message identical to your other email communications. We still recommend you keep the note short and simple. As mentioned above, consider using social media-sharing buttons. 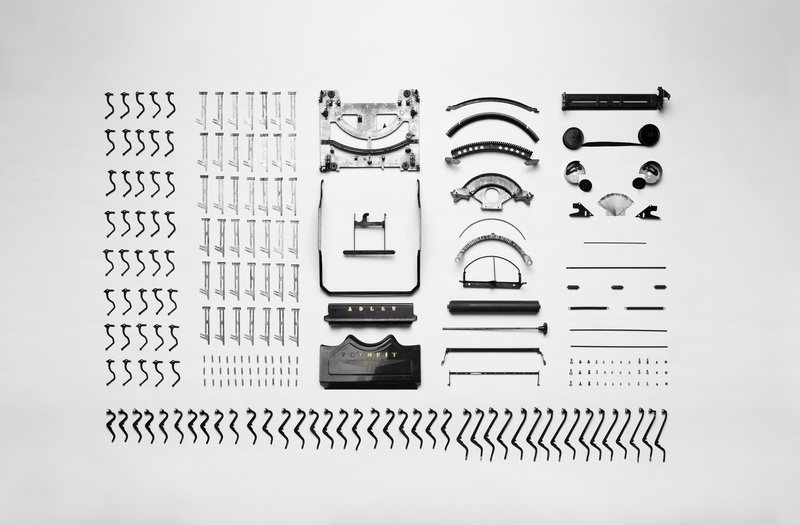 Have you experimented with auto-response emails? Share your feedback in the comments section below!